How to import data to PRO POS? 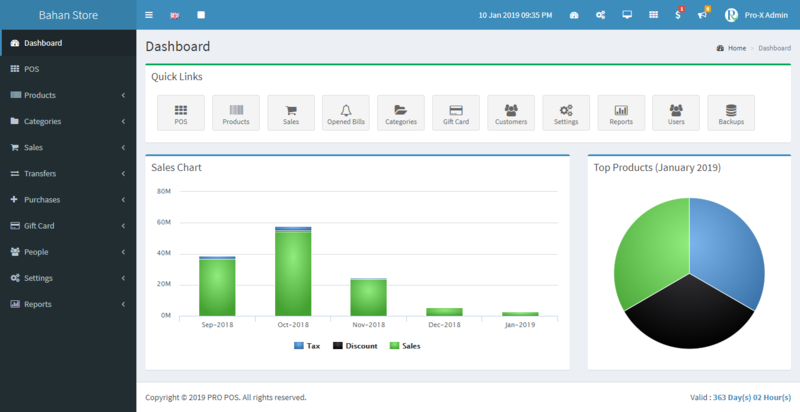 PRO POS is a point-of-sale (POS) software designed to help small and medium-sized businesses (SMBs) run their operations, from managing their customers, tracking their inventory, and generating detailed reports on sales among others. Users can run PRO POS on a desktop, smartphone, or tablet and enjoy a seamless and smooth experience and navigation on all devices. Designed primarily for small and medium-sized retail stores and restaurants, PRO POS helps automate many of your processes, saving you time and effort as well as ensuring the accuracy of your figures and keeping your inventory full while being able to meet customers’ demands. Having a web application is more suitable for most companies since it can be used on all operating system which has at least a browser and an internet connection. So if the companies want’s to change their computer or operating system, they won’t have to worry since PRO POS will work whatever the operating system they are using. Multi-Store & Warehouse support. If a store owner has more that one store and wants to manage them all in one dashboard, that what PRO POS can do for them. Accurate Reports. Having a track of what comes in and goes out is really important for the store owner. PRO POS has various report available which let you track the items during the stock taking, the best seller items and even track your profit according to your sales.